Psychology courses have long served to open undergraduate students’ eyes to many issues critical to modern society: racial bias and gender bias, cultural diversity, aging, principles of learning and education, intergroup conflict, stress and coping, mental illness, and brain disorders including Alzheimer’s disease. Conspicuously absent from this list, though, is the human impact on the natural environment. 1.5o C. Many other environmental challenges loom as well, including waste management and air and water pollution. Another of these is overpopulation, which can lead to disease, conflict, migration, degradation of natural resources, and loss of biodiversity. As we educate our students to be informed citizens and future leaders, they must be prepared to take on these challenges. Problems related to the environment are usually addressed in university curricula only in areas such as earth and environmental sciences or civil and environmental engineering. Courses in these areas reach only a small fraction of college students. Equally problematic is the fact that such courses only address part of the puzzle. All human-caused environmental problems are, by definition, rooted in human behavior. It is human ways of living that create excessive carbon dioxide emissions, pollution, waste, over-harvesting, population growth, and so on. Because human behavior is at the root of these environmental problems, science and technology alone cannot create the solutions we need. Behaviors that affect the environment are driven by human perceptions, attitudes, beliefs, values, communications, motivations, choices, and decisions. To create solutions, there must be a belief in the need for change, the will to make and sustain change, and effective means of creating change. This point is made salient as current United States political leadership at the highest levels deny the problems caused by climate change (De La Garza, 2019; Greshko et al., 2019). In short, the root causes of environmental problems lie squarely within the domain of psychological science, as do their solutions. Psychology departments must play a key role in preparing students to lead the world toward a more sustainable future. So why has the environment been so absent from undergraduate education in psychology? Deborah Winter published the first text on the topic in 1996 (Ecological Psychology: Healing the Split Between Planet and Self), but few other materials existed to provide a foundation for psychology courses. Fortunately, the situation has now changed. A rich research literature has developed in the areas of cognitive, behavioral, social, personality, and motivation psychology, and the meta-discipline of conservation psychology, aimed at understanding determinants of pro- and anti-environmental behaviors. In addition, researchers have investigated the therapeutic effects of interactions with nature and other aspects of the human connection to nature. The growth of these research literatures has, in turn, allowed for the development of more textbooks. Together, these resources will aid those who wish to develop teaching materials appropriate for any level of coursework. A course on the psychology of sustainability can be constructed that covers contributions across areas within psychology. Alternatively, a course in a traditional area such as social psychology can adopt an environmental theme. Such courses have the potential to attract not only psychology majors but students from environmental science, environmental studies, and environmental engineering who otherwise lack exposure to the psychological dimensions of environmental issues. Sustainability can also be readily integrated within courses that retain most of their traditional content (e.g., social or cognitive psychology surveys) by incorporating a unit on sustainability, and sustainability topics can be introduced in methodology courses to illustrate research methods and statistical analyses or provide the focus for experiential learning projects. De La Garza, A. (2019, January 20). President Trump renews climate change denial days after Defense Department releases daunting report on its effects. TIME. Greshko, M., Parker, L., Howard, B. C., Stone, D., Borunda, A., & Gibbens, S. (2019, February 28). A running list of how President Trump is changing environmental policy. National Geographic. Clayton, S., & Myers, G. (2015). Conservation psychology: Understanding and promoting human care for nature (2nd ed.). West Sussex, UK: Wiley-Blackwell. Gifford, R. (Ed.) (2016). Research methods for environmental psychology. West Sussex: Wiley-Blackwell. Jones, R. G. (2014). Psychology of sustainability: An applied perspective. New York: Routledge. Steg, L., Van Den Berg, A. E., & De Groot, J. I. M. (2013). Environmental psychology: An introduction. West Sussex: Wiley-Blackwell. van Trijp, H. C. M. (Ed.) (2014). 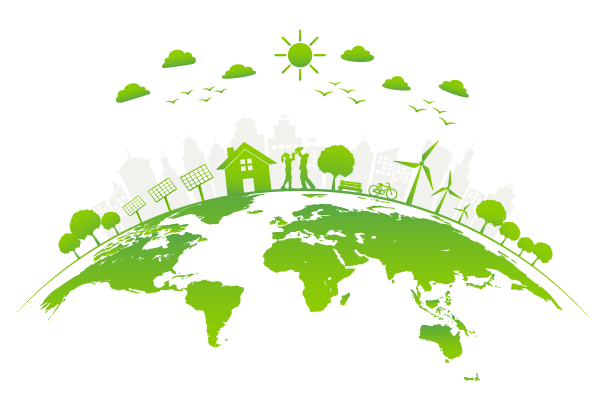 Encouraging sustainable behavior: Psychology and the environment. New York: Psychology Press. 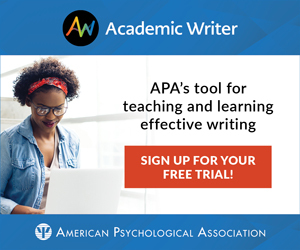 The major journals in cognitive, social, personality, and motivation psychology, along with those aimed at broad audiences, such as Psychological Science and Perspectives on Psychological Science, are outlets for much recent research. Environment and Behavior and Ecopsychology are specialty journals in the area, and psychological research also appears in journals such as Climate Change and Nature Climate Change as well in journals on risk analysis and communication. Koger, S.M., & Scott, B.A. (2012). Teaching environmentally focused psychology. Ecopsychology, 4, 77-80. Saunders, C. D., & Myers, O. E. (Eds.). (2003). Exploring the potential of conservation psychology. Special issue of Human Ecology Review, 10(2). APS Fellow Barbara Malt is a cognitive psychologist at Lehigh University. Developing a course on the Psychology of Environmental Issues has let her combine psychological science with her concern for the environment. She thanks Susan Koger and Britain Scott for input on an earlier draft of this story.